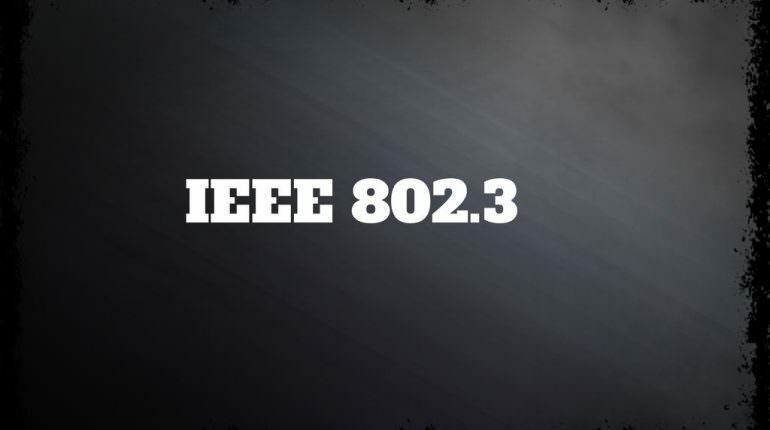 802.3 is a standard specification for Ethernet, a method of physical communication in a local area network (LAN), which is maintained by the Institute of Electrical and Electronics Engineers (IEEE). In general, 802.3 specifies the physical media and the working characteristics of Ethernet. These standards cover the operation, bandwidth and connections of devices in a LAN setting. There are two distinct LAN operations. One is called the half-duplex mode which has the ability to receive and send data one direction at a time. The other is referred to as the full-duplex mode. This mode has the capability to send and receive data simultaneously. This mode is the most popular Ethernet mode used. There are four data rates for the 802.3 standard. They are defined by the speed of which the data can be transmitted through the networks that are connected by physical cables. The first of which is the Ethernet. This has a speed of 10 Mbps. The next is referred to as the Fast Ethernet also called the IEEE 802.3u protocol. The speed of this data rate is 100 Mbps. This designation is an IEEE shorthand identifier. The "10" in the media type designation refers to the transmission speed of 10 Mbps. The "BASE" refers to baseband signalling, which means that only Ethernet signals are carried on the medium (or, with 10BASE-36, on a single channel). The "T" represents twisted-pair; the "F" represents fiber optic cable; and the "2", "5", and "36" refer to the coaxial cable segment length (the 185 meter length has been rounded up to "2" for 200). The third is the Gigabit Ethernet also referred to as the IEEE 802.3z. The data speed of this third protocol is 1000Mbps. The final protocol is the 10Gbps Ethernet also referred to as the 802.3ae. As the name suggests, the speed of this protocol is 10 Gbps. The cables connection are what will decide the speed of your data exchange capacity. On the off chance that you are utilizing Twisted pairs cables additionally alluded to as coaxial cables you may have the capacity to utilize something like 802.3u convention. This connection is more commonly used due to the fact that it is more reliable over long distances. For faster data transfers you can use Fiber-optic cable connections. These cables will allow for the use of data speeds greater then 100Mbps limits of the coaxial cables.